What's better on a cool summer evening than wrapping yourself up in a luxurious blanket out on the patio? Or how about cuddling with the kids watching a movie on the couch covered in a big throw? Very few things are better, that's what. Here at Brahms Mount, we like to balance luxury with comfort, design with durability. Here of our two favorite luxury throws...both perfect for any style or home. 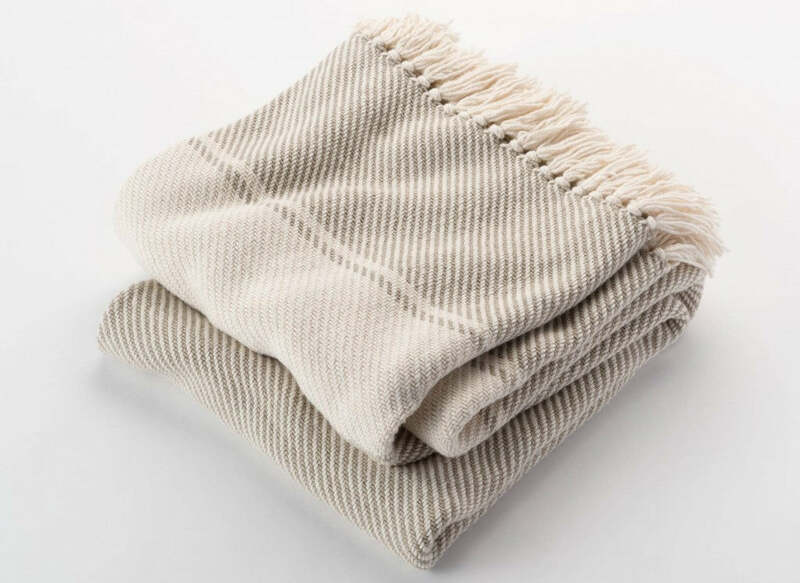 This luxurious throw features tight twill weave and two wide border stripes, finished with our classic hand-knotted fringe and selvedge. This machine-washable and colorfast throw has weight to it, so it's perfect for those cool nights, and will be perfect for keeping you and your loved ones warm and cozy. Ready to learn more about the Cotton Border Twill Throw? Click here. 50% alpaca and 50% cotton, this luxurious throw has our classic large-scale herringbone pattern and hand-twisted and knotted rope fringe. 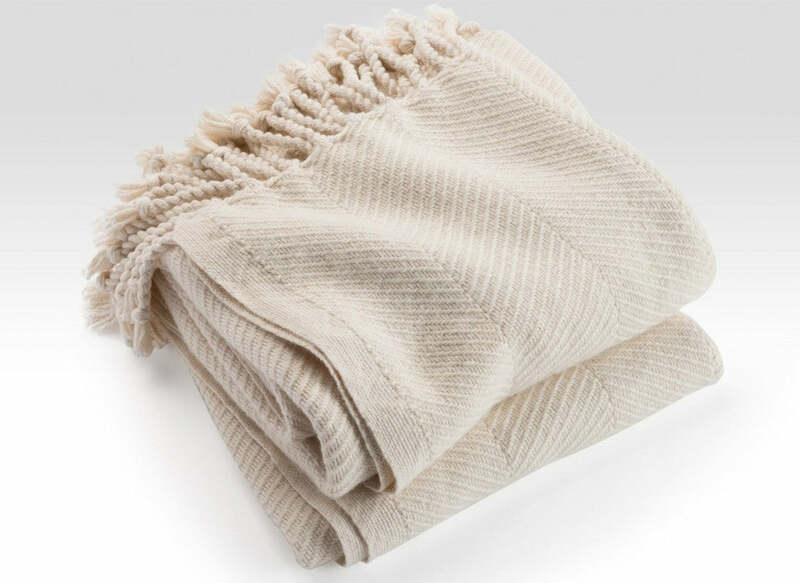 Like the cotton throw, this alpaca/cotton blend will keep you warm and toasty, while the soft blend of textiles keeps you irresistibly comfortable. Ready to learn more about the Cotton/Alpaca Herringbone Throw? Click here.